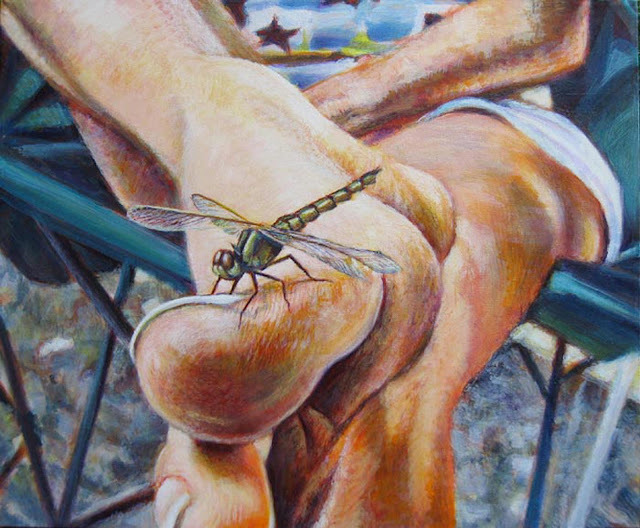 Landing Pad is the painting featured at ArtProMotivate, so you will know where to find me. I was honored to be included in the latest post on the madly popular ArtProMotivate website today. The post features FIFTY artists' spotlights. ArtProMotivate placed me in the top row, as you will see when you visit the post. I have been following the ArtProMotivate site for several months now and must say that the editor always seems to conjure up fresh, relevant and timely topics that never fail to arouse my interest. So yeah, this is a plug for you to drop in there and check it out. With all of the super-saturation of TMI flooding our in-boxes every day, ArtProMotivate is one site that I always welcome and read with interest.